Make a y lead x3 and join terminal 2,3&4 into the original ignition module wiring . I gather this is done in order to keep the stock ignition wiring in order to keep tacho working? I'm getting a parts list together for this add-on and was wondering if anyone had any experience with the Chrysler 4-cylinder coil in a WS conversion. I saw a few internet threads talking about using it, but not a ton. Seems similar to the Subby coil, but with a flat base. I figured the flat base will simplify a mounting bracket and it's got HEI connections, so wires shouldnt be troublesome. 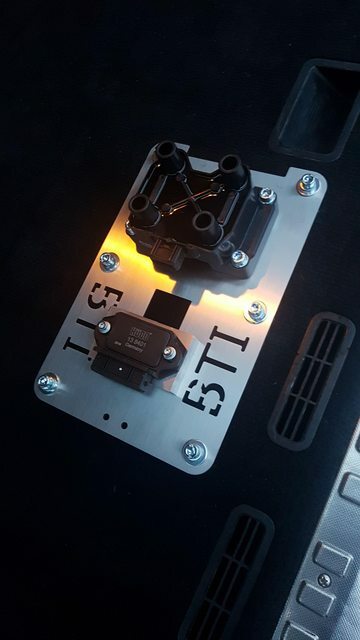 Does anyone have a part number/source for extra EZK connector pins? I want to use some of the previously unused pins for my spark outputs. 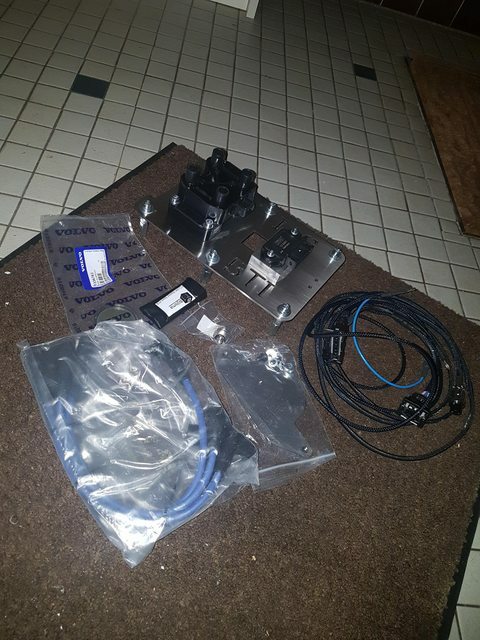 Or, you could check Dave Barton's site to see if he has these already, along with all sorts of other 240 connectors. Yesterday I got it to start and run but really weak and choppy. The spark is blue and looks strong tho. When I remove a plug from either one of the coils (Bosch 2x2) the car dies. I tested that because I was thinking it might just ran on one coil. The tachometer does not work even with the relay in place. Switch the plug wires around, the chips output banks are more than likely swapped. Quick question, has anyone used 2 of the stock igniters? I'm doing a budget build on my 145 with a b230fk swap. And since I had 2 940 turbo igniters laying around that was the cheapest option for me. The partnumber is 0 227 100 124. Was wondering if anyone used these and has a wiring scheme, or how I should wire it up with 2 stock igniters. I cant really find the pin-out anywhere. Or am i better of just finding a J702T or a 0 227 100 203? Or can i just stay low budget with two stock igniters and have a tach signal via them. Thanks in advance. Get a 203 as you need it to be dual output I believe the stock ones are single output. It could be done, not positive how the tach output would work. You may or may not have to swap the pin1 and 3 connections on the coil if it doesn't run. Hope this helps. I haven't installed a WS board, but I think that the original spark pin on the EZK that went to the single ignition module is still fully functional. If so, you can wire a gutted relay to this pin to generate a tach signal. If you use your dual ignition modules, the tach from either of them will be at half the rate. Alright gang so I'm a visual guy. Diagrams don't cut it for me or make this easy to comprehend. Finishing up my wiring and not sure how to hook it up. I'm using Bosch 2x2 coils and a 203 ignition module. Have the board and wiring to engine bay and have repinned the new connector for the new ignitor. I've been advised to keep the old ignitor intact and connected to original heatsink and run power from the original coil which is blue wire on b230ft lh2.4. Not sure how to take power from the coil or do the relay thing if I even need to. If you can explain how you got power and ground from your original coil and what you did with your old ignitor and coil that would be great. I would preferably like to move or delete the old coil eventually so need to know what I need to do. - Tacho works fine now. I started to probe again and then I finally found something: ALL pins on the Bosch 2x2 module are shorted out - 0 Ohms (tested directly at the module). That would mean all cylinders are firing at the same time, right? Why posting this here and not contacting Blabla, Martijn, BTI? He wil help you right away that's for sure. Do I just move all these spliced together onto the 85/86 terminals of a gutted relay? 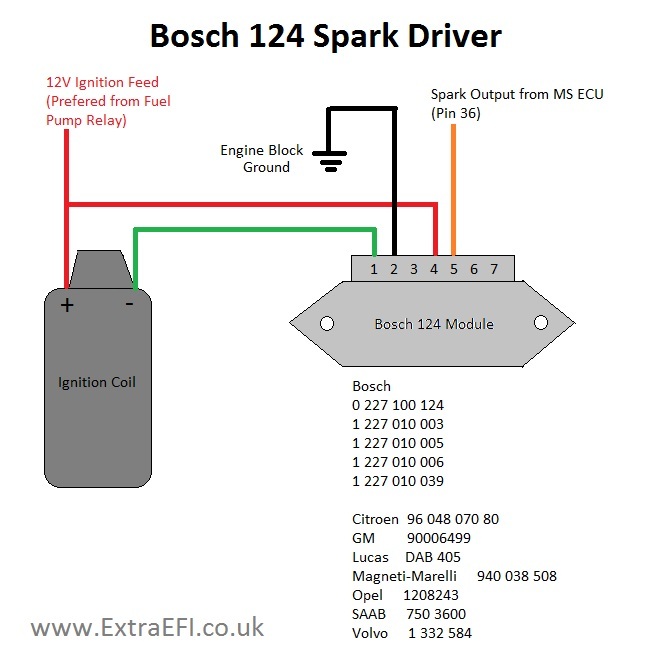 Diagrams state to leave old ignition module plugged in which I've done. I assume I need switched 12v from the blue wire from old coil so if I splice the power into this and plug both into relay will this be correct? If not where are you all getting switched 12v from? There is no way for me to contact him. The Mail on the Website is down and gives an error answer. Where do I get switched 12v from? The blue wire from old coil or from the 12v wire from old ignitors connector plug? Pull from old igniter. That worked for me.